A brand new development consisting of Maisonettes, Apartments and Penthouses located in a tranquil area in Bugibba. 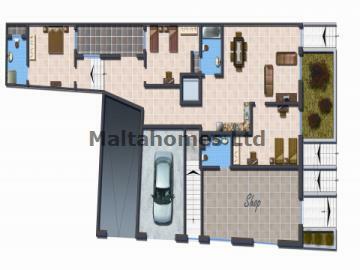 Accommodation compromises of an open plan Kitchen/living/dining, 1 to 2 bedrooms (Main with En-suite) and a Main Bathroom. The properties are to be sold finished apart from kitchen and are to be in shell form by November 2007 and finished by May 2008. Furthermore, garages are available under separate negotiation.